is a team of consultants with decades of financial resource development and organizational development experience working in and for nonprofit organizations. We understand nonprofits from the inside out. We are great listeners and have the ability to keenly assess an organization’s need to deliver strategic, pragmatic and tactical results. Michael collaborates with other consultants and experts who add value to TOG clients. Our process is to develop a collective understanding of each client’s needs and to deliver a customized approach that is achievable and, most importantly, one in which our clients truly believe. This collaborative model, coupled with the team’s highest standards of integrity and best practice, is what truly sets us apart. Michael is a certified fundraising executive (CFRE) whose career includes leadership roles in campaigns that have collectively raised more than $1 billion. He recently served as Chief Development Officer of Hadassah and FEGS. Prior to forming The Ostroff Group, Michael worked for community organizations in Cleveland, New Jersey, Rochester, Montreal and Boca Raton. 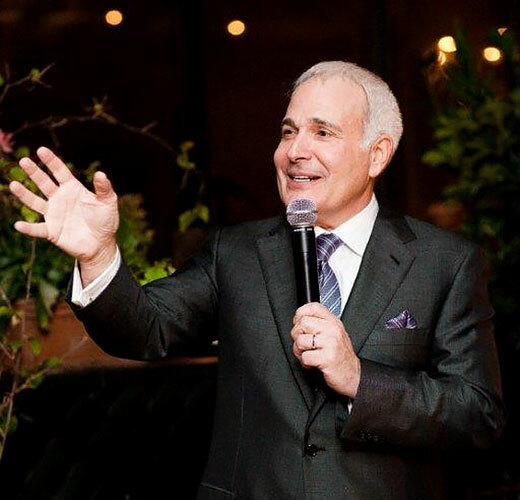 With a keen understanding of volunteer and donor motivation, Michael specializes in major gift solicitation, campaign and strategic planning, and coaching and training for nonprofit professionals, board members and volunteers. He is a frequent presenter on these topics in North America, Europe and Israel. Michael holds a BA in Social Welfare from Pennsylvania State University, an MSc in Social Administration from Case Western Reserve University, and a Certificate and honorary doctorate in Jewish Communal Service from the Hebrew Union College-Jewish Institute of Religion. He serves as a Board Member of WBGO, Jazz 88-Newark Public Radio, Harlem Grown and the Association of Fundraising Professionals-New York City chapter. He is married, has three adult children and two grandchildren.